This also applies to our family-based dental practice. We provide regular check-ups and cleans for everyone but we thoroughly advocate children to have them too. It’s very important for children to get accustomed to the dental setting from a very young age, and so we encourage parents to bring in their children as young as 2 years old to get used to the environment of our surgery. We don’t just do cleaning and examinations for kids. 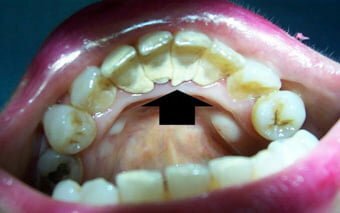 We can also place fissure sealants on newly erupted adult teeth. 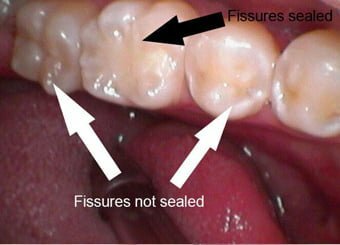 So what are fissure sealants and why are they important? Fissure sealants can almost be seen as small fillings. However there is absolutely no drilling involved! We clean the nooks and crannies that you can feel on the top surfaces of your teeth, and then we flow a specifically fluid filling material down the pits. This prevents decay-causing bacteria from accumulating in those deep crevices where even your toothbrush cannot reach. To show how important preventative treatment is to us as it is for you and your family, we are currently offering gap-free fissure sealants for children who are currently covered by any private health insurance! 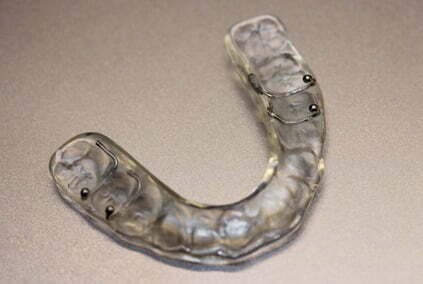 We also help patient's with mouthguards for sport, occlusal splints/nightguards for nocturnal grinding/clenching and fissure sealants to prevent bacteria from causing decay on teeth. We do deep cleaning for all our regular patients. Regular cleaning twice a year is very important as we can remove hard deposits that reside on the surfaces of your teeth called calculus. Normal toothbrushing and flossing cannot remove calculus and only the specialised instruments that can be found in a dental surgery can be used to flush it away. Removing these deposits reduces gum inflammation (gingivitis) and prevents gradual bone loss around your teeth (which would have led to the loosening of your teeth). All cleans at Marsfield Dental Care are combined with fluoride treatment to increase the strength and durability of your teeth and minimise decay risk.